Filesize on c4science is limited to 100MB and push size to 250MB. For special cases we support GIT LFS for large file storage outside of the git index. 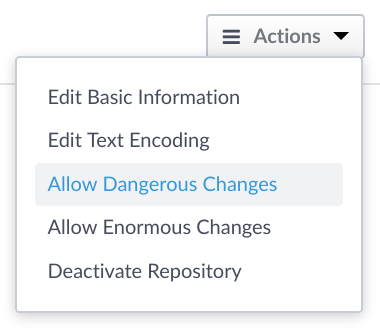 Only a reference to the file is stored in git tracking the changes, the file itself is stored in phabricator's storage. WARNING: Do not store huge files (>1GB) in LFS as we have limited capacity, for data you should use your local university storage service. git commit -m "Added a bigfile using LFS"
IMPORTANT: it's dangerous and will destroy your old history, have a local backup of this!